The Labyrinth Committee (TLC) is a group of volunteers all with a keen interest in establishing a permanent labyrinth within our community. TLC is a sub- committee of the Carleton Place in Bloom committee, a committee of council. 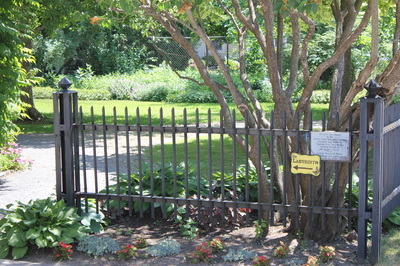 The labyrinth is located on the site of the Carleton Place and Beckwith Heritage Museum and gardens. 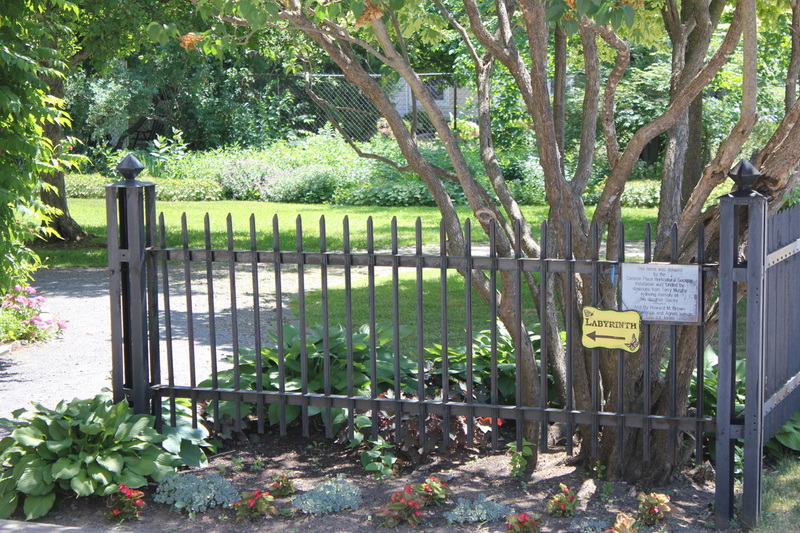 Our introduction to labyrinths came about when a number of us attended a Carleton Place and District Horticultural Society meeting and listened to , “Lessons from the Labyrinth” a presentation by Jenny Anderson, a local horticulturalist and labyrinth builder. Inspired by the opportunity to create a unique public space for passive recreation, meditation and community events our enthusiasm about the project grew. Further encouraged by CPIB chair, and councillor Wendy LeBlanc our group came together from standing members of CPiB and other interested volunteers. Our first meeting was held in April of 2008. “Walk the Path” has become a phase used by our committee over the past three years as we continued to work towards creating the permanent labyrinth and gardens. We truly believed it could happen!" 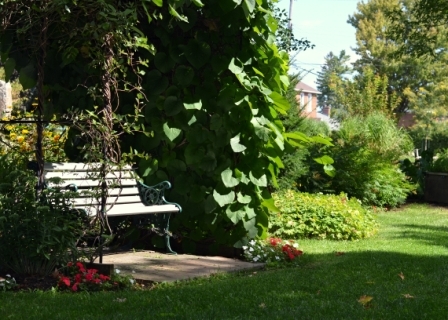 The first project of the Carleton Place and District Horticultural Society when it formed in 1988 was the transformation of the hard-packed cinder playground into this lovely oasis on the north side of town. 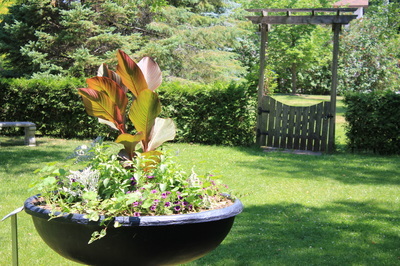 The Garden is designed, planted and maintained by the Horticultural society members who donate plants from their own gardens along with their time and gardening talents. 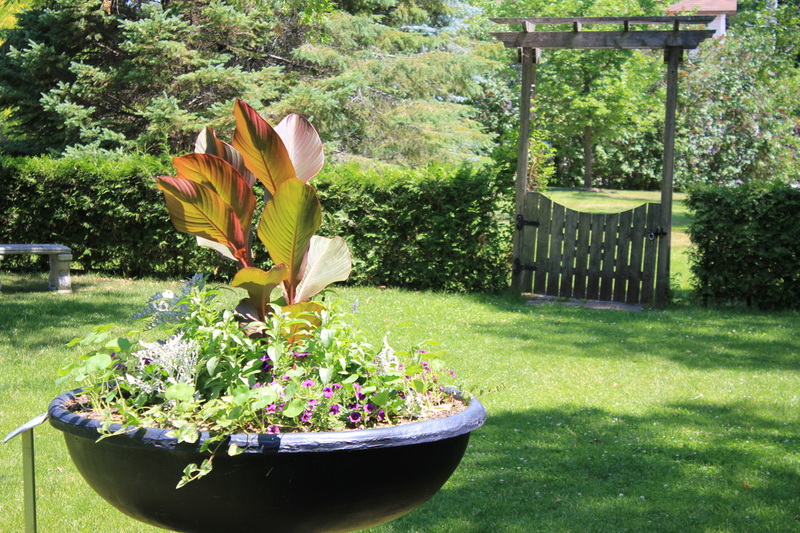 Take a few moments to relax under the vine-covered trellis and view the original Carleton Place horse-watering trough, now a delightful planter. 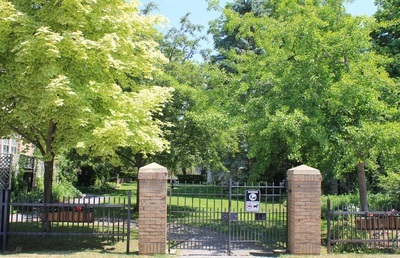 May 25, 2019: Annual Plant Sale. 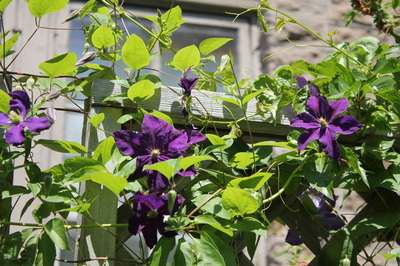 8:30 am to 11:30 am, Victoria School Garden, Carleton Place, Ontario.